Being busy and short on time doesn't mean you have to sacrifice delicious, healthy meals at home. Learn how to fuel your and your family's bodies with the nutrition you need to function at your best. With meal preparation advice and easy recipes, the experts from Fox Valley Food for Health will teach you 5 simple steps to shop once, cook once, and eat well for days. 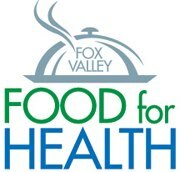 Join Fox Valley Food for Health dietitians Mary Fremgen and Kelly Bodine, and Chef Penny Newkirk as they share tips to save time and money, eat clean, and feel awesome. Fox Valley Food for Health does double-good in our community by teaching high school students how to prepare healthy meals and providing those meals to neighbors in need who are dealing with serious illness, like cancer. At this seminar, the experts from FVFfH will give tips on nutrition and show you how to prepare simple, healthy meals for your family. $25 ticket includes sample plate and a shopping coupon. Proceeds will benefit Fox Valley Food for Health. Please call the store and ask for the Gift Gallery for tickets. This event has a 48-hour cancellation policy. To receive a full refund, you must call the store and inform the Gift Gallery at least two days before the event.